My mum once told me about stuffed tomatoes when I was a kid. She had tried it at her friends place, and said it was probably a bad idea as most tomatoes went untouched...she said there was no fun to have mushy rice in raw tomato. 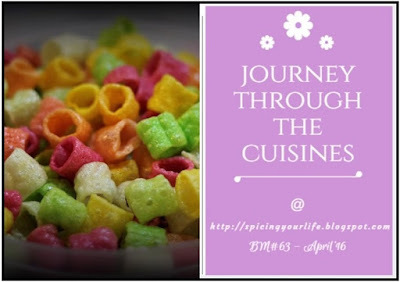 Ofcourse we both knew that there would have been some mistake on the cook's part while making the dish but first impressions stick hard on your mind, isnt it....so together for years we never agreed to taste this dish wherever or whenever. Gradually, I came around to the idea of stuffing vegetables starting with other vegetables like potatoes or coconut based filling moving on to paneer then cheese and then soy crumbs and then biryani...I liked it a little more than the earlier experience each time. 4) Scoop out the seeds on core using a spoon. 5) Add some olive oil and season the inside of the scooped vegetables and let it sit for 5-10 min to marinate. 6) Fill the stuffing in the vegetables. brush more oil on the vegetables. 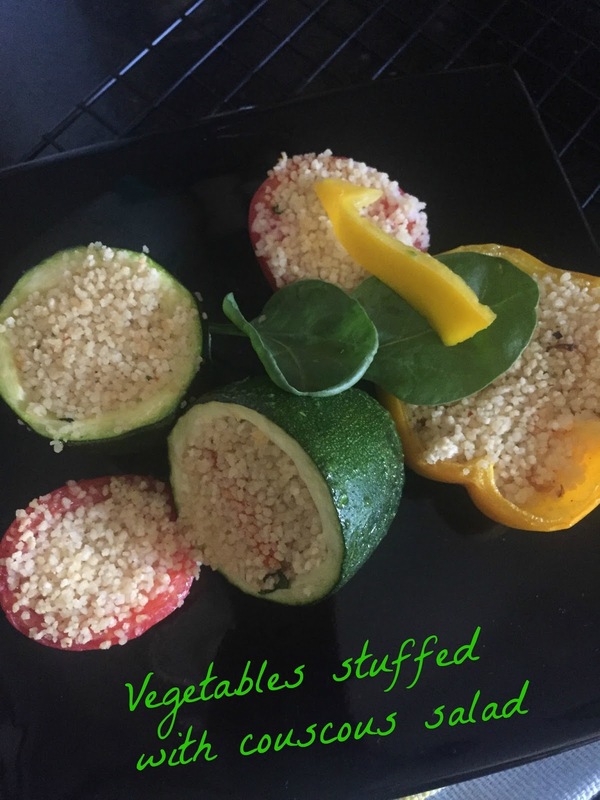 Have tasted couscous stuffed vegetables but never tried them myself at home. You are pulling me to make some. These veggies must be tasting so good Pradnya..I have just made a couple of salads with couscous..this sounds interesting. I love stuffed bell peppers. Baking them brings out the flavors very well. Love the cousous stuffing. Healthy and delicious couscous stuffed veggies. Dish looks very inviting. The last time I made a stuffed tomato, I had deep fried it..I guess just plating tomatoes with cooked stuff will still feel like you are digging into raw stuff..anyway I am not for raw vegetables..lol.. I tried stuffing bell peppers with pulao once and loved it. This one with couscous stuffing looks good..
Inviting dish. I have not tried stuffed tomatoes but do make ground meat stuffed bell peppers once in a while. The only raw veggie I can eat without complaints is cucumber and so, I am with your mom if I am served a uncooked stuffed dish. :) Your filling sounds good. Healthy and delicious looking veggies. Wow this is very interesting way of making stuffed veggies with couscous. The recipe looks super healthy and delicious. Loved the way you made it! !